Home Bike Lust 16 oz. 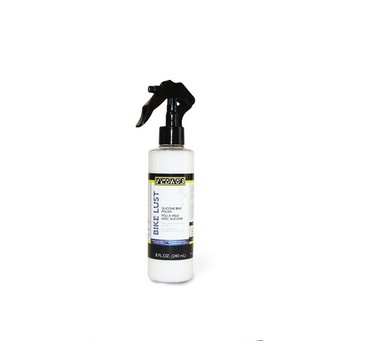 The original bike polish, Bike Lust's proprietary silicone-based formula includes a biodegradable cleaning agent. Bike lust goes on wet, quickly cleaning light dirt and grime as it polishes, and then dries to a beautiful protective coating. Works on any surface or material in one simple step making your bike look like new and future cleaning easier! Also great for dropper posts, suspension, and for seating tire beads.